Not all images are created the way you would like. Have you ever had the dilemma of dealing with images in low pixels, otherwise known as "pixelated photos"? This is only one of the most common issues users encounter when it comes to images. Now that there is a QR code generator like Visualead that provides you with high-quality images along with the codes, you might wonder about the resolution of these images. The platform has prepared a gallery of items that match the way you would like your QR codes to appear. 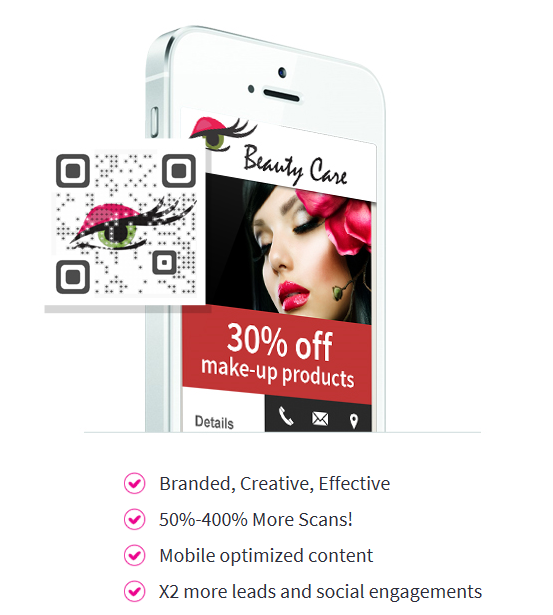 So how easy is it to use Visualead's QR code generator? When looking for the right QR code generator, you will certainly be looking for something easy to use. Some other applications might have jargon and technicalities that can be difficult for users to understand. Not here at Visualead. We have four easy steps that you can follow to create QR codes without any extra expertise necessary, and within just a few minutes. Select what you want your QR Code to do, enter existing URL, or create a new mobile page. Upload any image or select a template design from our awesome gallery. Print your Visual QR Code on your marketing materials and start engaging with your customers. Track and manage the performance of your QR Codes with API integration and analytics.